Discovered via the DC Comics Talent Search a decade ago, Chrissie Zullo has worked in all facets of the industry, doing work on interiors, covers and variants for multiple titles and publishers. Her work is modern in both origin and subject matter and often features a dreamlike, fairy-tale aesthetic. While her work covers many subjects, an aura of joy and positivity emerges from each piece she creates. 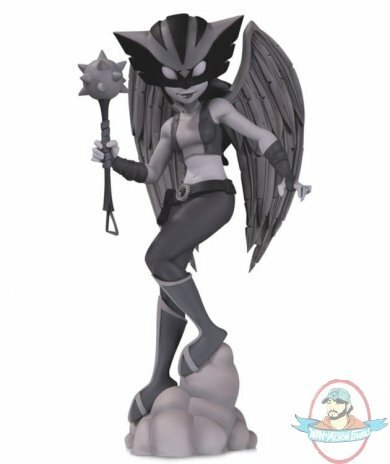 This DC Artist Alley Supergirl (Black & White) Limited Edition Figure showcases her artistic style with this limited edition figure of Hawkgirl.